Corporate Social Responsibility (CSR) is becoming increasingly prominent in the global telecommunications industry, as the sector responds to environmental, stakeholder and community concerns. At DTC, all our services are designed to comply, support and encourage environmental sustainability, contributing to wider CSR policy initiatives adopted by our customers. 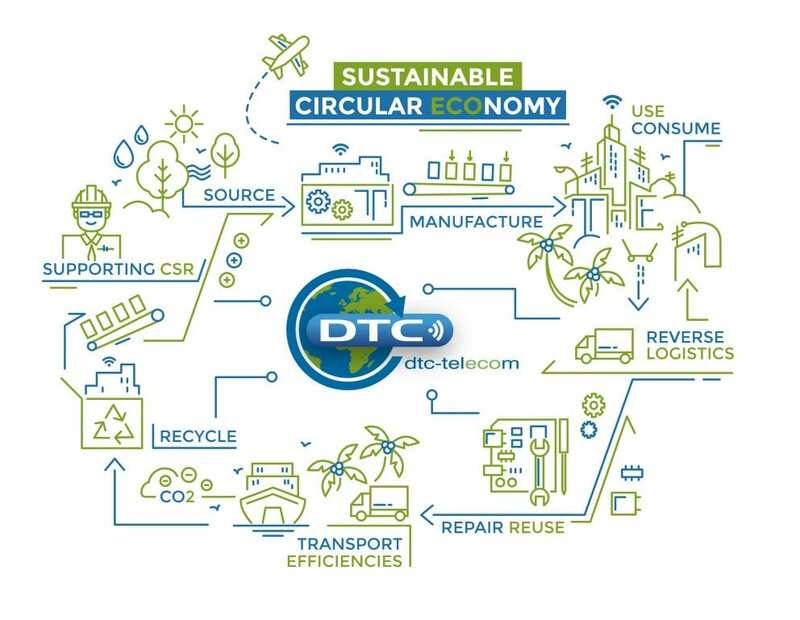 DTC’s activities related to the recovery, re-deployment, re-use, repair, remanufacture and recycling of telecom hardware directly relate to the concept of the Circular Economy – and represent a new way of thinking about consumption in the technology sector. In this way, our Telecom Lifecycle Management value proposition is strongly linked to generating new economic activity that benefits both the environment and society as a whole.